At Reebees we are delighted to offer the Pink Massed Open Heart. This heart is available in sizes 12inch, 15inch and 18inches. 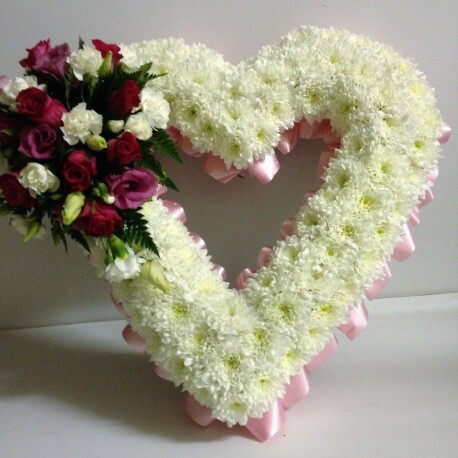 This Heart is available for ndelivery in Pensby, Ruthin, Denbigh and all surrounding areas.